Looking so pretty, elegant, chic and stylish in this outfit!!! Great inspo! You look gorgeous! I love the tulle and leather combination, so pretty with a little edge!! so many wonderful textures here! that jacket is so luxe; especially in that color! I am really loving your watch! The fur scarf is adorable!! This look is amazing!! Love those shoes! I always enjoy your looks! Such an inspiration ;) ! 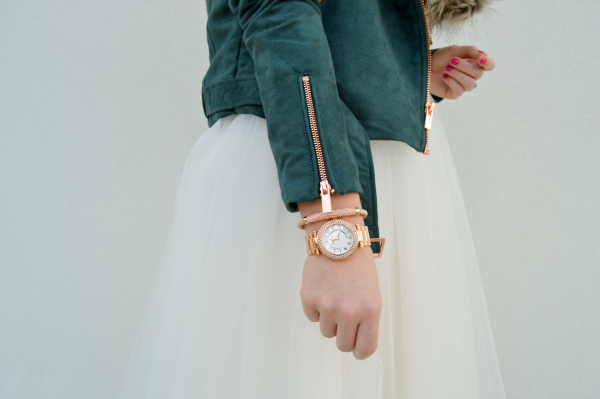 I love this faux fur & suede combo! very nice look, love your shoes! Do you want to attract your soulmate? Are you ready for an amazing relationship with a man and don't even have a prospect in sight? If you practice this number one technique you will be generating a signal from the inside out, like a beacon of light, for the perfect match to be drawn to you. It's an ancient practice of wisdom called gratitude. I've been following your blog for years now, and I can easily say this is my most favorite look yet! I always love your incredible use of different textures and patterns. This outfit is perfect...and festive! Happy Holidays! You look stunning, I love that skirt and the heels! Beautiful style . So much thanks for shared on public .